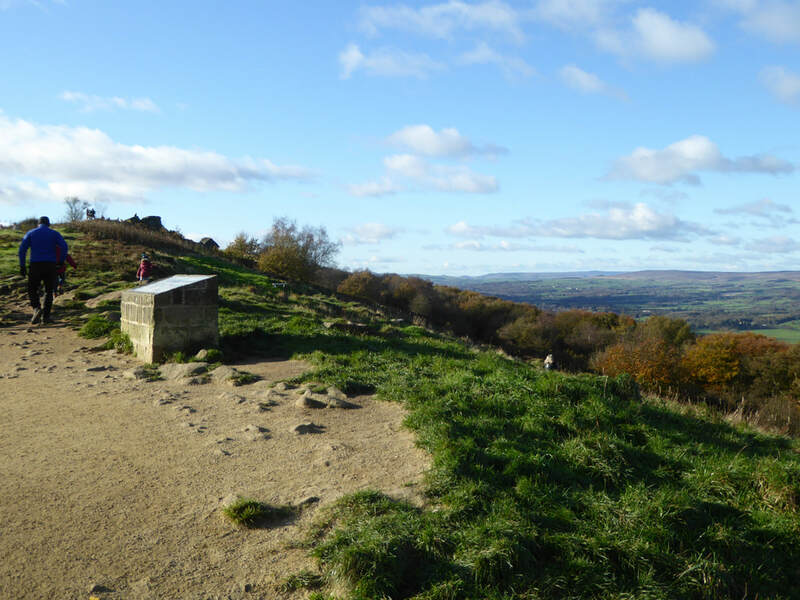 Introduction: This walk takes you to Otley Chevin (Surprise View) at 925 ft (282metres). It was a site for a warning beacon and you can make out the hill of another at Beamsley Beacon across the valley. Evidently a Roman road ran along the ridge linking York (Eboracum) with Ilkley (Olicana). The views across Wharfe dale are some of the best in the area. At one time, there was a cottage here, known as Jenny’s Cottage, which became a tea room. It has quite an interesting history and there is an extensive information board about it. Long distance views appear at various points on the walk: up towards the Yorkshire Dales, over Airedale and towards Leeds. The walk has the bonus of a refreshment stop at The Royalty pub, the half way point, after which the walk is all downhill!